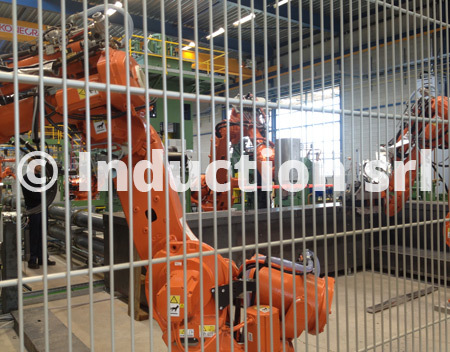 From several years Induction put on in its automated production areas antrophomorfic robot or Cartesian mechanical hands, which increase the quality of the work and of the finished product. 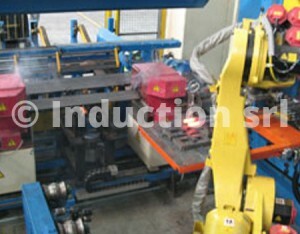 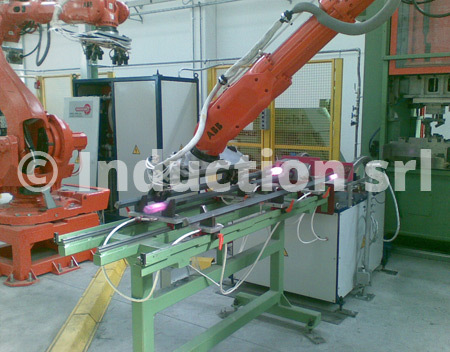 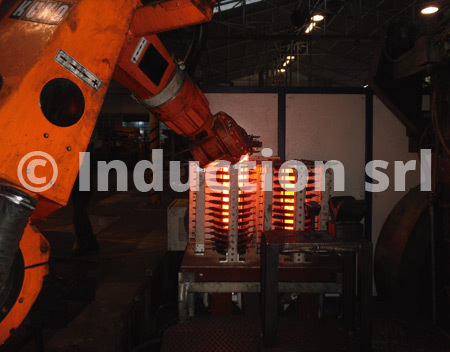 The repeatability on the hot-forged product and an high productivity of the plants are the characteristic of the automated work center Induction, managed with supervising software for the process control. 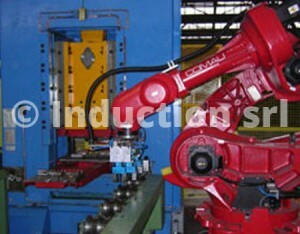 Applications of self-learning support the interface robot-operators, also simple pre-filled working programs allow extreme flexibility in the production change. 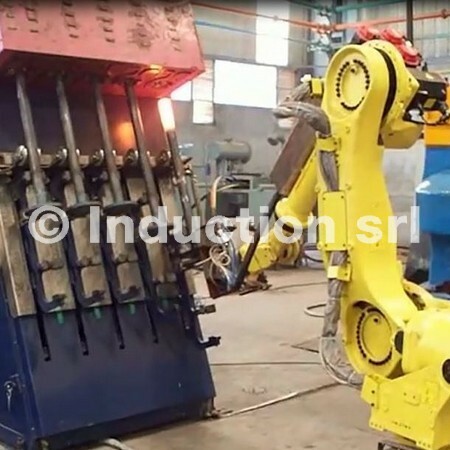 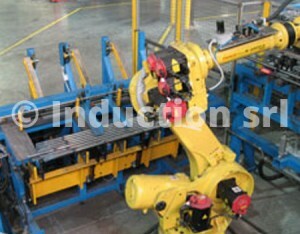 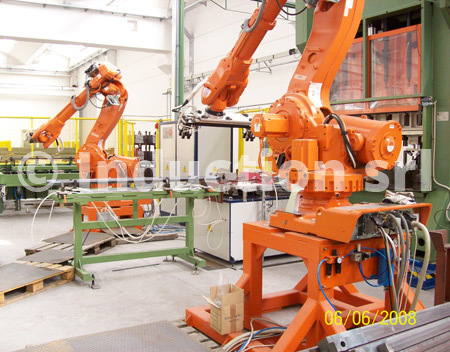 Antrophomorfic commercial robot and Cartesian mechanical hands Induction, provided with opportune catching pincers allow to move hot pieces, forged and pell-mell in extreme situation for step and ambient condition, and moreover to be applyed also on manual existing production lines.